You are driving a bus three people get on two people get off. Who's driving? 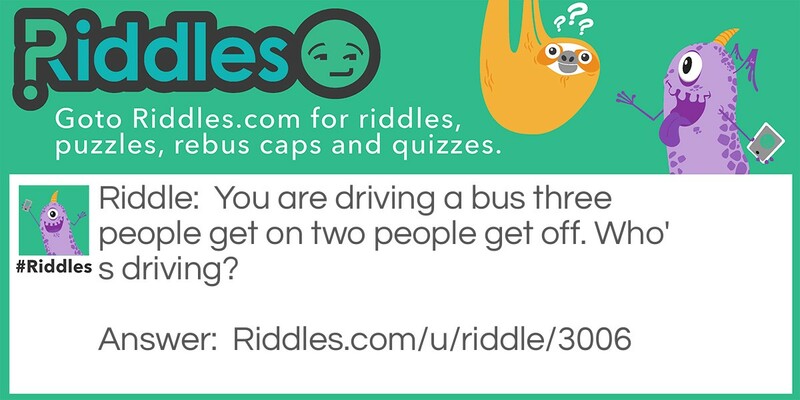 The bus Riddle Meme with riddle and answer page link.